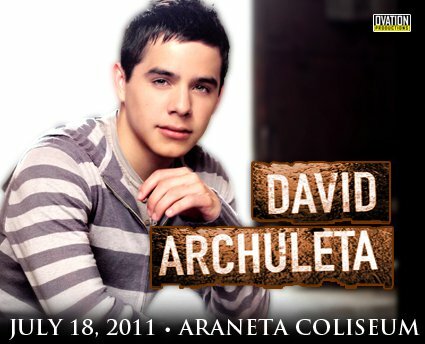 David Archuleta, American Idol season 7 runner up will hit the Philippine stage once again for the second time around on July 18, 2011 8PM at the Araneta Coliseum! Archuleta first had his sold out performance in Manila last May 2009 together with his co-idol and season 7 winner David Cook. this time though, he will rock Manila solo with his smashing hits such as ‘Crush‘, ‘A little too not over you‘, ‘Touch my Hand‘ among others. I might be watching this one!